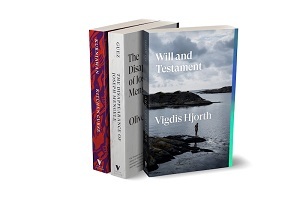 The new list kicks off in September with three titles: Will and Testament by Vigdis Hjorth, Kitchen Curse by Eka Kurniawan, and The Disappearance of Joseph Mengele by Olivier Guez. Verso’s acquiring fiction editors are Cian McCourt and Andrew Hsiao; McCourt said: "We want to publish bold, intelligent writing that’s politically astute, but not dogmatic or charmless." In its latest catalogue Verso explains the rationale for the new imprint: '2018 saw the first National Book Award for Translated Literature, the Man Booker International is now well established and the Goldsmiths Prize seems to make bigger waves each year. Readers are paying serious heed to fiction that comes at them sideways. And fiction has long been an unsung part of Verso’s list and heritage. 'We’ve published some excellent writers over the decades, from John Berger to Marianne Fritz. You’d often find a gem of a novel buried in the back of a catalogue, among the new editions, if you found it at all. But in recent years we’ve found ourselves being drawn again and again to contemporary novelists; writers we couldn’t not publish and, many of whom – like Vigdis Hjorth and Jenny Hval – we want to publish for a long time to come.